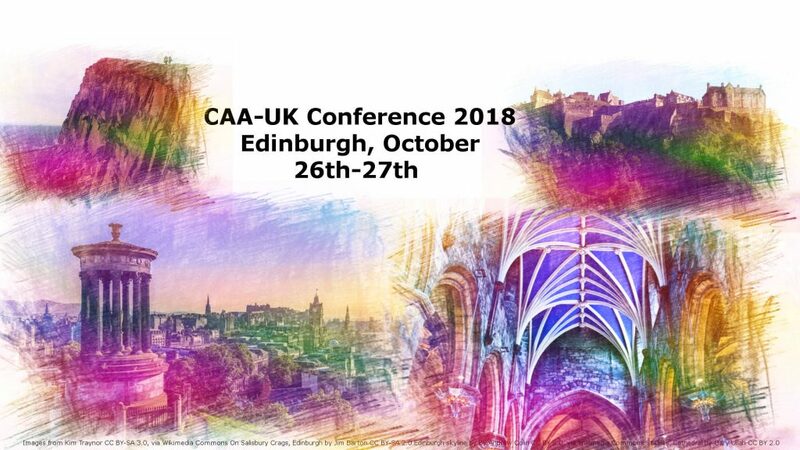 The organisers of CAA-UK 2018 would like to invite papers and posters for the 2018 meeting, to be held in Edinburgh, at Augustine United Church, 41-43 George IV Bridge, EH1 1EL, on the 26th-27th October. Abstracts should be a maximum of 350 words with paper proposals geared around 20 minute presentations. Because of the Strike at UK Universities the deadline for abstract submission has been extended for those affected to March 1st and 2nd. If you could not submit an abstract due to the strike please do so on the 1st or 2nd (non-strike days). However, no abstracts will be accepted after that.